The fifth installment of the Record Club included Beck, Thurston Moore, the band Tortoise, and some session musicians. It was recorded on June 13, 2010 at Sunset Sound Studios. Beck and Thurston Moore play or sing on all the tracks. In the end, Tortoise only played on two tracks ("Keys To Imagination" and "Within Attraction"), the rest were done with the core crew of session musicians (Jeff Babko, Abraham Laboriel, Toss Panos, Russell Ferrante). On one song ("Nostalgia"), Vinnie Colaiuta drummed instead of Panos. 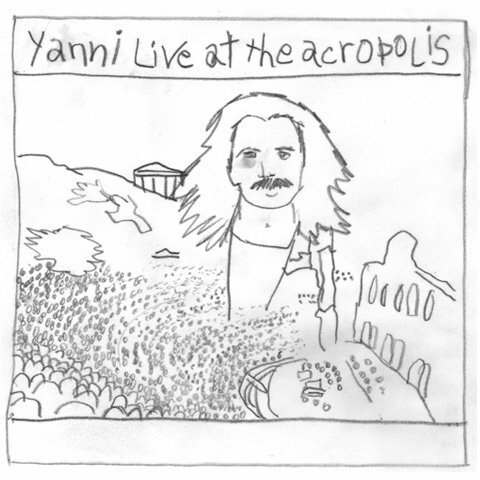 As Beck wrote of "this musical monolith," [Yanni Live At The Acropolis] "featured Yanni with a full orchestra at the Athenian Acropolis. A TV special of the concert was played repeatedly on PBS through the mid 90�s. To flesh out and capture the complex arrangements, several studio musician heavyweights were brought in to read a heavily doctored score with interpolations of everything from Stravinsky to Shania Twain (look for others)."